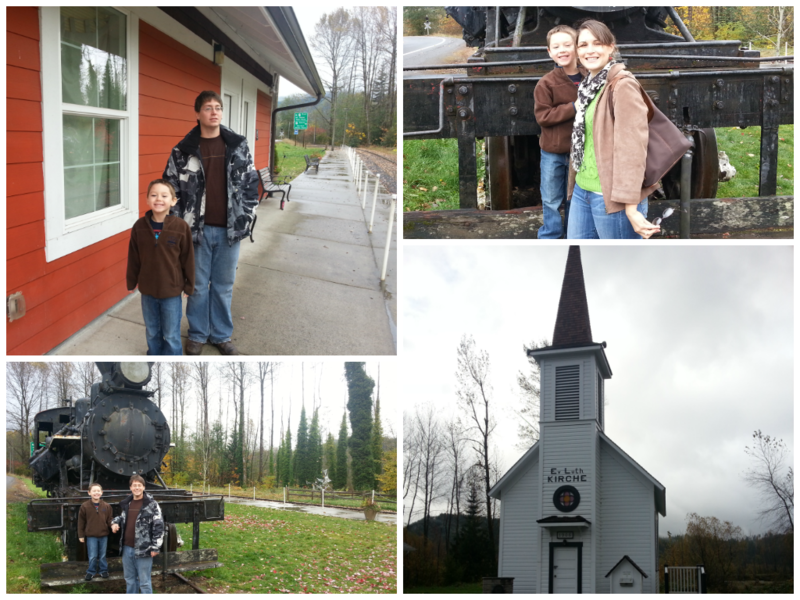 My family and I drove up to Elbe, WA (Mt Rainier) on Sunday to ride the Pumpkin Express and we had such a blast! It was only an hour drive from Tacoma and not to mention fall in the PNW is beautiful! We got there plenty early, so we had time to walk around the small town, go inside the gift shop and take pictures. There are a few places to eat in Elbe(but not many) or feel free to bring your own food, they even allow food/drinks on the train(no glass containers). They also have a concessions car on the train with reasonable prices. We got some popcorn and honestly it was the best butter I’ve ever tried! When the train arrived it was very cool, all the kids were so excited and trying to “catch” the smoke. They were even allowing kids to go up and look in the front of the train(the engine part), Mason was too scared but what an awesome opportunity. All the staff were very friendly. Standing outside by the train the noise was pretty loud, so if you child has sensitive ears you may want to bring ear plugs, but inside the noise wasn’t bad at all. Inside the train has heaters so it wasn’t cold but when you are outside(it is the mountains remember) you will not want to forget your coat! Not only for children, adults will enjoy the ride as well. One thing I love about taking train rides is the scenery, a lot of the land you see doesn’t get car traffic. There is just something about trains that make me think of the early 1900s and makes me happy. Mason really loved the whole experience and was very well behaved. 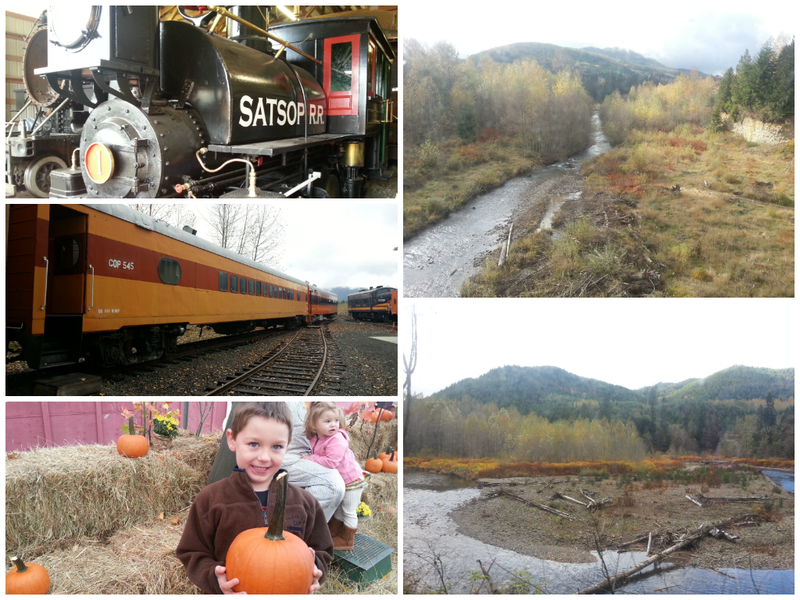 We rode the train from Elbe to Mineral Lake and then had 30 minutes to pick out pumpkins(everyone each got one to take home) and look at all the trains there and then back to Elbe train station. It was the perfect amount of time, not too long, not too short. 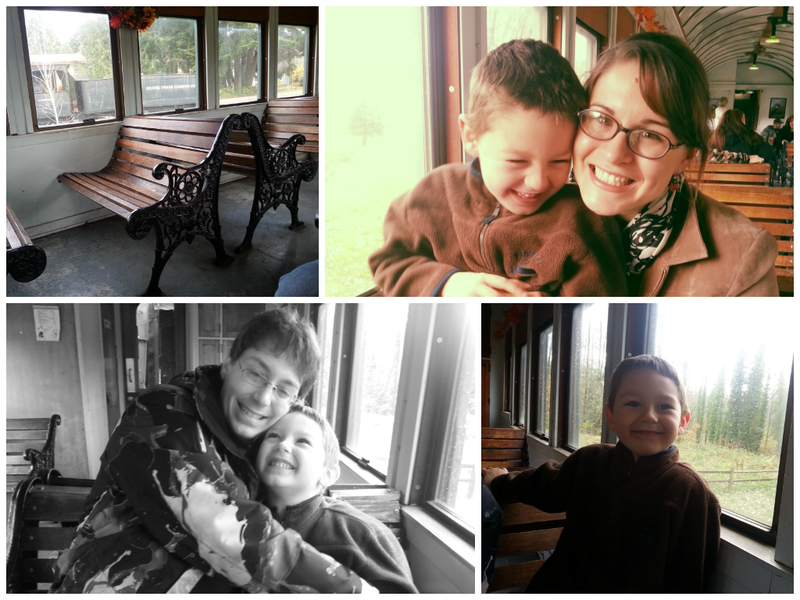 We had such a great time on the Pumpkin Express, we can’t wait to go back next year! 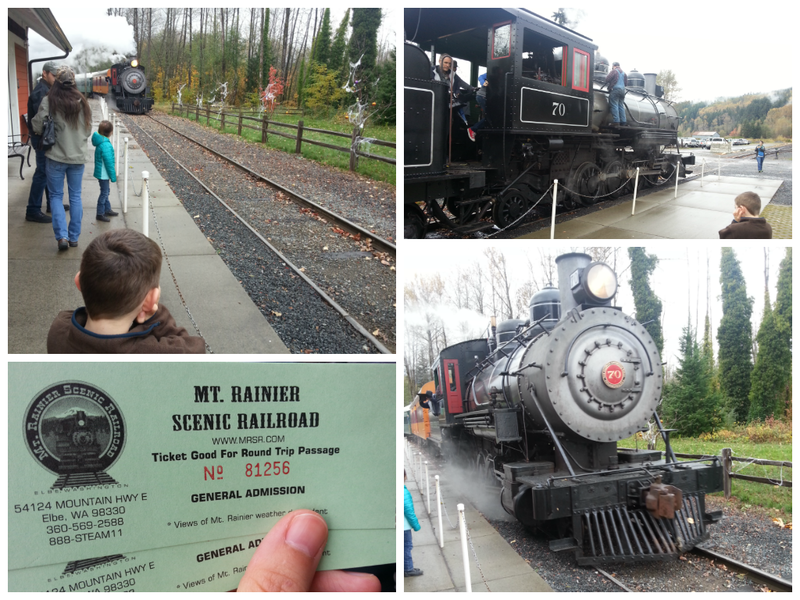 Mt Rainier Scenic Railroad also does a Santa Express, that looks awesome! Description: You too will believe! Catch a steam train ride this holiday season when the Mt. Rainier Scenic Railroad becomes the ‘Santa Express’. Departing from the ‘North Pole’ located at the Elbe Depot, passengers will travel along streams and forests for a two hour ride while visiting with Santa. Sometimes there is even snow on the ground this time of year. These trains will sell out! Please make reservations as soon as possible. We were given tickets to ride the Pumpkin Express to review, however all opinions expressed here are my own. What a beautiful place, Ive always wanted to do a family train ride! So awesome!! I have always wanted to do this!!! It’s definitely on my bucket list! !